The correctness and perfection of our Legal Translation Services in Pakistan make us the lone option for Translation services in Karachi, Lahore, Faisalabad, Rawalpindi and Multan. A renowned clientele of noteworthy law offices speaks highly of our professional translators for the faculty and dexterity exhibited in our Legal Translation Services projects in Pakistan. 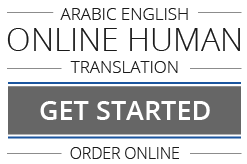 Our Arabic to English and English to Arabic Translation of Laws, Marriage Certificates, Memoranda of Association, Court Pleadings & Judgments, Powers of Attorney, Divorce Certificates, Academic Certificates, Arab Official Gazettes Tables of Contents, Death Certificates, Wills, Contracts, Birth Certificates, Deeds, etc. goes beyond all expectations.